Monica is a legend. She has been a paralegal since 1983, and most of her career has been spent with Nancy. Monica is well respected in the family community amongst the professionals as well as clients. Monica has tremendous empathy for the individuals’ circumstances that require them to contact our office. 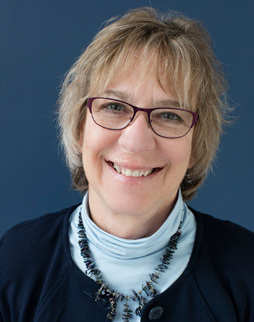 Whether it be a dissolution, child protection matter, juvenile matter, her thirty plus years of experience in the family law field working with Nancy provides a certain connection and expertise. Monica’s personal circumstances give her a great perspective when guiding our clients through their life’s transitions. Monica was divorced in 1986 and remarried in 1990. Monica has two adult children from her first marriage, an adult step-daughter and an adult daughter with her current husband. She describes her family as a ‘yours, mine and ours’, which gives her a unique perspective to offer our clients. Monica sets the bar for blended families high and leads by example, as Monica attends weekly church services a weekly dinner with her former husband, his current wife, Monica’s current husband and their children. Monica practices the philosophy that it is possible to ‘see the rainbow’ when the storm hits. Monica’s passions include attending CrossFit classes, CrossFit competitions, triathlons (sprint and Olympic distances), reading and travel. Previous Kindergarten and 6th Grade Sunday School Teacher at St. James Lutheran Church.